I am trying to diagnose a poor running problem with my resurrected 1987 XR4Ti. It has just come out of a 10 year long storage in a garage and I am trying to make it road worthy again. I have drained the tank and put fresh gas in and it now starts. When I first got it running after doing this it ran at idle for 10 - 15 minutes in my driveway while I was inside dealing with a phone call. I drove the car a short distance, 2 - 4 miles and then the car started running badly. It still starts but will not idle and has zero power. In fact it is difficult to keep it running long enough to pull away from a stop light. Also just for additional information, this car has a lean / rich "gauge" that I believe is hooked to the stock narrow band O2 sensor and this seems to indicate that car is running very lean now that it has this poor running condition. The car has a EEC Tuner board installed so since this bad running condition first started occurring, I pulled the ECU out of the car, removed the EEC Tuner board from the case, cleaned the contacts on the J3 connector, re-installed the EEC Tuner board, reloaded the bin file on the EEC Tuner and verified it is correct using the PCMX software. I figured this would take care of the issue but after doing this and starting the car in my driveway, I discovered all of this had no effect on the poor running condition. So next item on the to-do list was try to pull codes from the ECU to see if there is anything throwing an error code. I hooked a jumper wire from the second pin on the DLC connector to the STI connector. I then hooked a test light from ground to the fourth pin on the DLC connector as shown in the linked photo. Can anyone tell me if by having the EEC Tuner board plugged onto the J3 connector, does this eliminate the possibility of using the DLC and STI connectors to pull codes from the ECU? I am confused now. I also found this illustration where they show hooking the other end of the test lamp to the battery positive terminal. Which is correct for a 1987 XR4Ti ? Last edited by Lotus907efi on Wed May 09, 2018 12:37 am, edited 1 time in total. Two possibilites re those symptoms: clogged fuel filter; clogged exhaust. OK, thanks for the suggestions, Ed but this does not answer my question about the right way to pull codes from the EEC-IV system using a jumper and a testlight. If you’re using a test light, follow the diagram on the left. Sorry, I don't think my question is being understood. 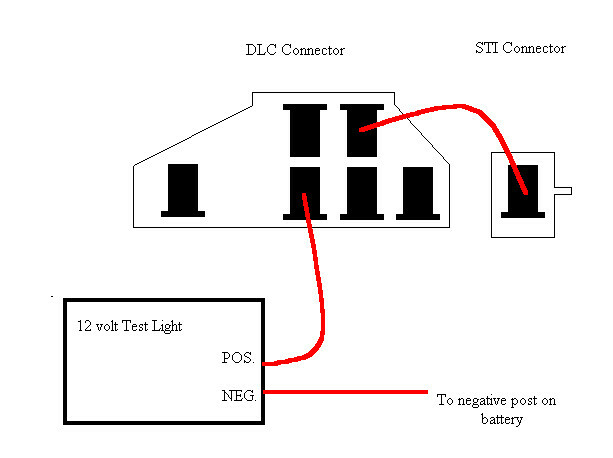 I have two DIFFERENT diagrams as to how to hook up the test light to the DLC connector. One diagram shows the other end of the test lamp lead going to ground. 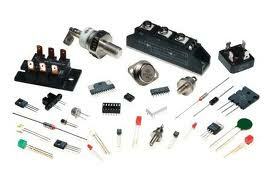 The other diagram shows this same lead for the test lamp going to +12V. Which one is correct? I was referring to the "test hookups" picture with the 2 diagrams on it. If you're trying to use a test light, insert one end into the test plug and attach the other end to battery positive. I've never used a test light to check codes so I just tried it on one of my cars.